The Ford GT and the Dodge Demon were both instantaneous performance icons when they debuted. It’s easy to see why. The Ford GT’s resurrection happened alongside the nameplate’s return to Le Mans, which saw Ford win its class on the 50th anniversary of its first-ever win at the French endurance race. The Demon, meanwhile, was the world’s first production car capable of doing 9s quarter-mile times right out of the box – an amazing feat of engineering and one that could only be achieved by an American automaker, we think. But which of these two American performance legends would win in a half-mile drag race from a dig? That’s something we no longer have to wonder thanks to the magic of the internet and the speed-obsessed folks over at YouTube channel DragTimes. They recently pitted a stock black and yellow Ford GT against a stock black and yellow Dodge Demon in a standing half-mile. You might think the lighter Ford GT would smash on the beefy Demon quite easily, but these two cars actually have similar half-mile trap speeds. 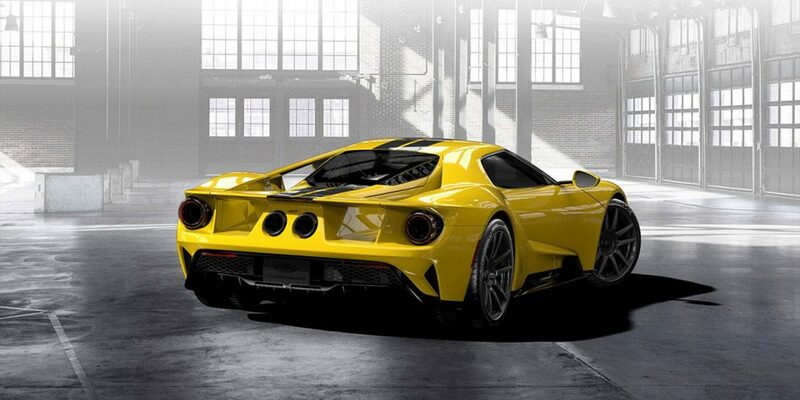 Just in case you need a reminder, the Ford GT is powered by a 3.5-liter twin-turbocharged EcoBoost V6 engine that makes 647 hp and 550 lb-ft of torque. The engine is paired with a seven-speed dual clutch transmission that sends power to the rear-wheels, taking the GT from 0-60 mph in about three seconds and on to a top speed of 216 mph. The Demon, meanwhile, gets its power from a 6.2-liter supercharged V8 that makes 808 hp on pump gas and is paired with an eight-speed automatic transmission sending power to the rear wheels. Factory drag radials and other drag racing equipment help it set 0-60 mph times as low as 2.3s, although that’s extremely hard to mimic without a prepped surface and ideal conditions. Check out the video above to see which of these giants comes out on top in a half-mile drag race. Nice one Ford GT. Blitz the Dodge eh Chrysler. If the Dodge had DOHC 4 valve cylinder heads if would not have been blitz as much as it was. The Ford GT won the race and did it burning less gasoline. If it was electric or at least a hybrid, it would do even better. That is why the Tesla Model S P90 is still the fastest domestic car in the U.S. The Ford GT is a special Supercar. Proved itself in a straight line and on the track. Win or lose. The Ford GT is a stunning vehicle.